HOUSTON — Police and emergency workers filed suit on Thursday against French chemicals company Arkema SA, claiming they were injured after it failed to take adequate steps to avoid a fire at its Crosby, Texas, plant after Hurricane Harvey. 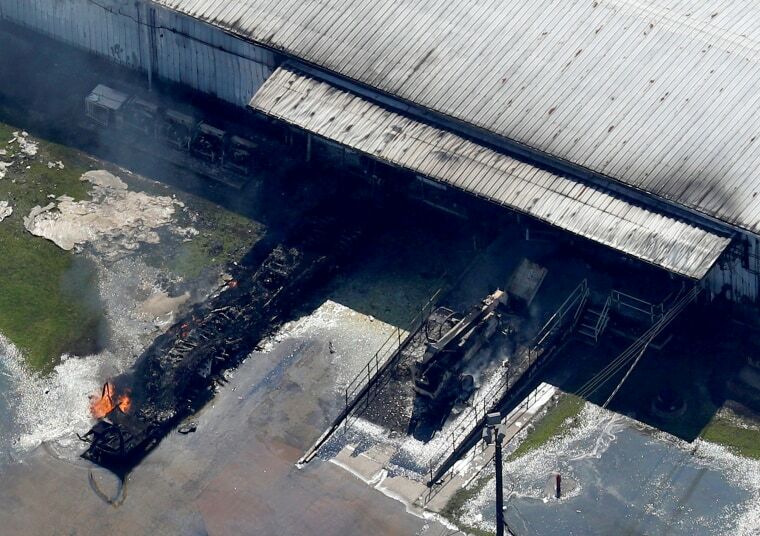 Seven police, fire and emergency medical technicians sued Arkema in Harris County District Court for at least $1 million, alleging negligence by the company and executives led flammable organic peroxides stored at the site to ignite after the plant lost power during the storm. Arkema defended its efforts to secure the chemicals and plant, saying in a statement that it worked with police, fire and regulatory officials to project the plant and local residents. "We deeply regret that anyone suffered harm as a result of the havoc wreaked on our plant by Hurricane Harvey," it said in statement. It called the negligence suit "gravely mistaken" and said it will contest the allegations. The seven emergency workers claim they received "serious bodily injuries" after breathing smoke released by the fire while manning an evacuation perimeter a mile and a half from the plant. The chemicals are used in the manufacture of plastics. The company and its executives failed to protect the chemicals adequately and did not alert the emergency workers on Aug. 31 after some containers exploded, caught fire and released "toxic fumes," the suit said. Arkema's executives "repeatedly denied that the chemicals were toxic or harmful in any manner" and the seven emergency workers "relied on these representations and suffered serious bodily injuries as a result," the suit alleges. In all, about 15 emergency workers outside the plant required care at the scene or were taken to a hospital and treated for smoke inhalation. Floodwaters from Harvey cut electricity feeding refrigeration units used to keep the plant's tanks of volatile organic peroxide from warming and combusting. Plant workers evacuated after moving the chemicals into nine trailers. The federal Chemical Safety Board has launched an investigation of the incident, and the Environmental Protection Agency has been monitoring the site for pollutants.